Three-time Oscar-nominated producer Michael De Luca and Emmy-nominated producer Jennifer Todd will produce the 89th Academy Awards ceremony, Academy President Cheryl Boone Isaacs announced Nov. 4. With 114 days to go until the big night, the Academy has named its 2017 Oscars telecast producers. 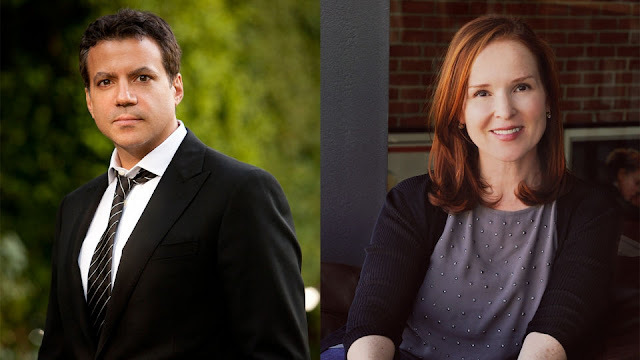 Three-time Oscar-nominated producer Michael De Luca and Emmy-nominated producer Jennifer Todd will produce the 89th Academy Awards ceremony, Academy President Cheryl Boone Isaacs announced Friday. "What a talented team," Boone Isaacs said in a statement. "Mike and Jennifer have a great working relationship and a tremendous love and respect of film, and will surely draw from their vast experience to create an exceptional and unforgettable event for movie fans everywhere." While De Luca earned Best Picture Oscar nominations for producing "Captain Phillips," "Moneyball" and "The Social Network," this is first time involved with the production of the ceremony, which is set to air on ABC Feb. 26, 2017. Todd is also new to the Oscars telecast, making her only the third woman to produce the ceremony since 2000. The late Laura Ziskin produced the 2002 and 2007 telecasts, making her the first woman to produce on her own. Richard D. Zanuck and Lili Fini Zanuck produced the 72nd Academy Awards on telecast March 26, 2000. Variety reported Thursday night that the duo was in serious negotiations to produce the show and less than 24 later, the Academy confirmed the news. Both will have to hit the ground running and work on their first big task: finding a host. And they're a little behind, compared to recent years. At this time last year, we already had a host. Chris Rock was named Oscars M.C. Oct. 20, 2015, by then-producers Reginald Hudlin and David Hill, who both were not asked to return, according to The Hollywood Reporter. Looking back 10 years, there is only one instance where producers were named after Nov. 1. Even then, it was a replacement announcement. In 2011, Brian Grazer was named a co-producer Nov. 9. But he was replacing Brett Ratner, who left following unflattering comments and a gay slur, after having originally taken the job in early August. Who would you like to see as host? De Luca is a former president of production at Sony Pictures, DreamWorks and New Line Cinema and is currently producing the last two films of the "Fifty Shades" trilogy for Universal. Todd earned an Emmy nomination for her work on the HBO television movie "If These Walls Could Talk 2." She is currently president of Pearl Street Films, the production company founded by Ben Affleck and Matt Damon, where she produced the upcoming film "Live by Night," due out Dec. 25, and executive produced this year’s "Jason Bourne." "We are deeply honored to produce the Academy Awards," De Luca and Todd said in statement. "We both revere the Oscars and grew up watching them each year with our families. We are so humbled and grateful to be a part of this incredible legacy, and look forward to creating an exciting show that celebrates movies and the power they have to connect us all." "We are thrilled to be working with Mike and Jennifer," Academy CEO Dawn Hudson said in a statement. "In our meetings, they shared an early vision for the show that is inspired and in keeping with the films they’ve produced: entertaining, unexpected and of the highest caliber." "Mike and Jennifer have an intimate knowledge of the art of filmmaking. Their celebrated successes in storytelling will enhance the Oscar ceremony and capture the magic that sets the medium apart from any other," said Channing Dungey, President, ABC Entertainment, in a statement.